The iPad Mini is in the news one more time, and it seems to be gaining credibility with each passing day. 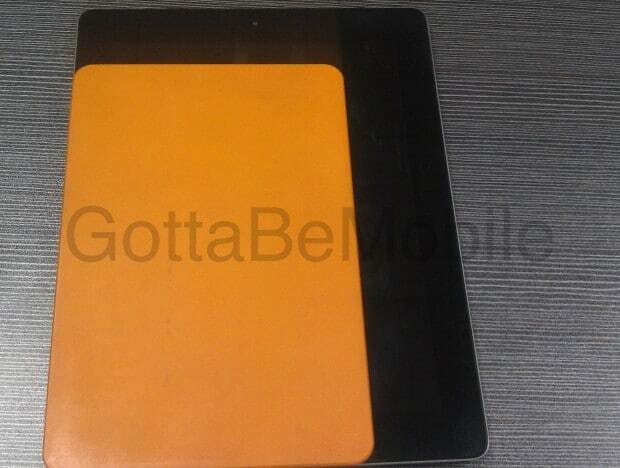 An engineering sample of the iPad mini supposedly has been documented. A smaller sized iPad may indeed be a reality this time, and if that is the case, it’s going to be thinner than the current iPadand about two thirds smaller in size. The leaked image of the iPad Mini also reveals a few other interesting details. It’s going to have 19 pin port dock connector, which is set at the bottom of the device. The tablet also includes two speakers instead of one as in the present model. By comparing photographs, it can be further deduced that the iPad Mini will be 213.6 mm tall and 143.67 mm wide, making it slightly larger than the Nexus 7. However, it must be remembered the leaked image is from engineering samples and therefore the final product could be very different.